I write contemporary romance, paranormal romance and steampunk. Basically, anything with a guaranteed happy ending. I love stories about second chances – I guess because so often we screw up the first time around. So I thought, why not combine the magic of the Great Barrier Reef with the emotional magic of meeting your first love for a second time? The result was a short story full of emotion and two very real characters that I came to love. This was my working blurb: When you’ve betrayed a man, broken his trust and shamed yourself, is a second chance at loving him heaven or hell? Laura Robertson is working at a tropical resort on the Great Barrier Reef when her ex-lover Phil Cooper arrives on Topaz Island. She’s fighting for her self-respect, having just lost her job as a marine biologist. Now she has to fight for their happiness. 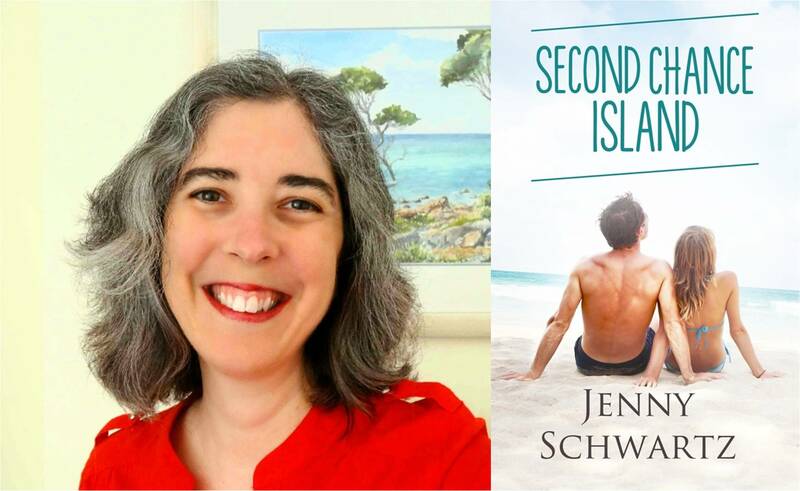 What inspired Second Chance Island? You’ve probably heard that the Great Barrier Reef and its amazing beauty and wildlife is threatened by climate change, pollution and marauding starfish – I’m not making up that last one! The marauder is the crown-of-thorns starfish. It eats the coral. So I wanted to set a romance there and celebrate the reef’s beauty. I think that hope (rather than despair that everything is going wrong) is hugely motivating. I’m re-reading Shelly Laurenston’s The Mane Squeeze. Lots of fun! Spend six months in Florence, or maybe Barcelona. That even if you can’t travel right now (see my bucket list, numero uno) there are wonderful places within easy reach. I think our beaches are the best in the world. Romance celebrates life’s journey, how we connect with others, and so, get through the tough times. It’s popular for a reason. Its hopefulness resonates with people. Lots and lots. Second Chance Island is out Feb 8, then Ice-Breaker releases in March with a Tasmanian and sub-Antarctic setting, and No Rescue winds up my Australian short story trilogy in April with an unmissable Sydney Harbour romance (the hero is a Water Police sergeant). Kiss Me, Quick is out now, enabling you to enjoy a cowboy for Valentine’s Day (it’s a Valentine’s Day themed short story). Ran From Him is a category romance out in February with a Perth, Western Australia setting (my hometown). Lost Girl then kicks off a new short story series, Hades Bar, at the end of February. And there’s more after that! 2015 is a busy year. I moved house. I know some people manage this without drama. Let’s just say, I didn’t. I also jumped into self-publishing and am enjoying the heck out of it – and I think readers are, too.